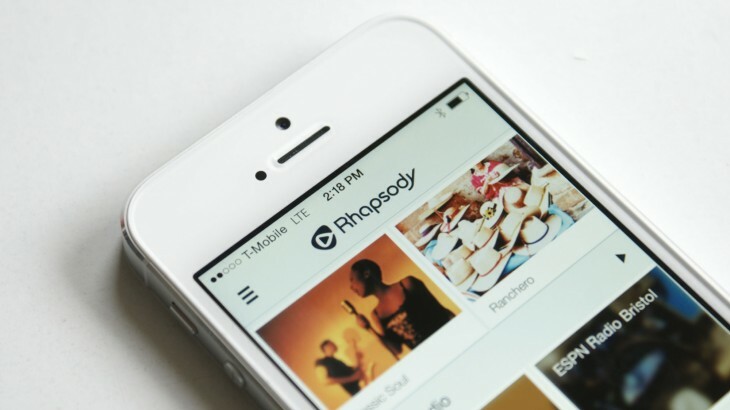 Music-streaming service Rhapsody is gobbling up music-related startups today. First music discovery service Exfm announced it was being acquired and then SoundTracking dropped the news its parent team, Schematic Lab was joining Rhapsody. With today’s acquisitions, the 14-year-old streaming music service gets two features that could help the international company grow beyond its 2 million subscribers. Exfm tracks your web traffic to determine what songs you play on various sites and uses that data to surface songs and artists you may like. Apple’s Beats Music launched touting its human and computer curated discovery system, but that information is tracked inside Beats Music. By keeping an eye on all your data, Exfm could find gems services like Beats Music may not realize you will enjoy. By acquiring the Schematic Labs team behind the SoundTracking, the streaming music company gets an Instagram-like music sharing service, while SoundTracking — which will continue operations — gets access to Rhapsody’s 30-million track catalog. Rhapsody has been bullish on expanding in Europe and Latin America with its Napster brand and partnering with carriers to include its music service as an added value to carrier subscriptions.